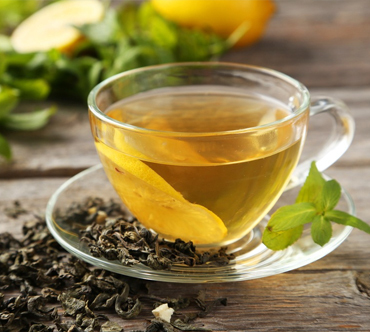 Masala green tea A flavour packed blend of green tea spiked with aromatic spices, this masala tea is a healthy infusion that has a calming effect on stressed-out nerves while it revitalizes the body. Low in caffeine and rich in anti-oxidants, it is a natural relaxant, anti-inflammatory and metabolism booster. The rare combination radiates power and relaxation with its masala-punch and soothing taste. Can be taken several times a day.